Broadway is a great little market that is expanding rapidly and enjoys a tremendous reputation. It's worth the trip down there as there's a tremendous variety of goods and the prices are well below those at the more famous markets in town. Hidden gems are the Marissa V clothing stall and Kate Garwood Ceramics - a little known but fantastic potter. 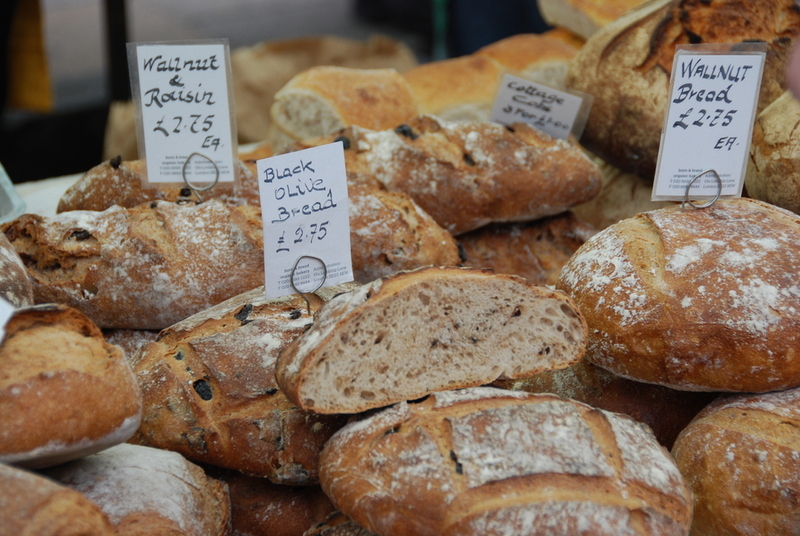 There's also a good selection of organic food including rare breed pork, veal and venison, sea food and fresh fish, handmade cheese, butter and butter milk, fair-trade coffee, and organic breads, cakes and pastries. Health products are sold alongside vintage clothing from the 50s, 60s and 70s, including USA street wear. Broadway has a tradition in enabling the city's people to eat; livestock would travel through what is now Broadway Market from London Fields, the last common grazing area, before their final stop at Slaughter Street in Brick Lane or East Smithfield. Broadway was also one of the original chartered open markets in London, a thriving market place some thirty years ago. It's good to see it's back on the map. What are the best dining options near Broadway Market London? Broadway Market gyms, sporting activities, health & beauty and fitness. The best pubs near London Broadway Market. Broadway Market clubs, bars, cabaret nights, casinos and interesting nightlife. Where to have your meeting, conference, exhibition, private dining or training course near Broadway Market. From cheap budget places to stay to luxury 5 star hotels see our discounts for Broadway Market hotels, including Courthouse Hotel Shoreditch from 80% off.